Dear all visitors and Taiko funs ! Due to shortage of my time to maintain the Web site, I combined Japanese and English page together. Since Photo Albums is the main contents of this home page, I tried to express as much as possible in both languages in each page. Sorry but some pages I could not translate into English due to my poor English capability and speed of translation. 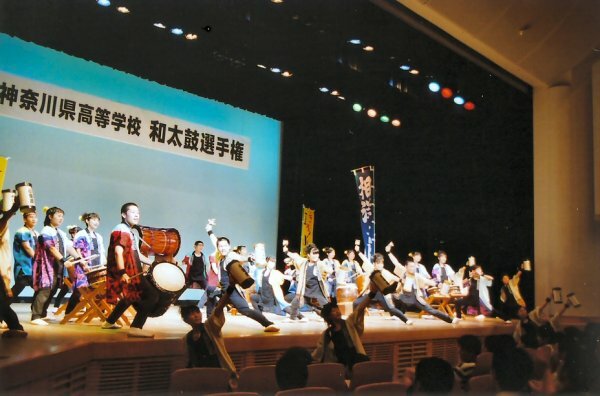 If you have any question about Taiko or Wadaiko, SoyoDaiko, Soyo High School, Japan or whatever, please write me through e-mail. I try my best to reply you as soon as possible.